P Waves are a type of seismic wave called a body wave - they are called this because they travel through the body of the Earth. See surface waves. 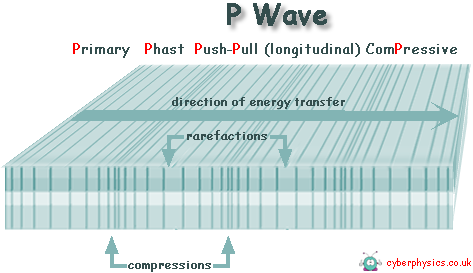 P waves are 'compressional' or longitudinal waves; that is, the medium vibrates parallel to the direction that the wave energy is travelling.